People have been getting excited about a tasty hog roast meal for centuries. 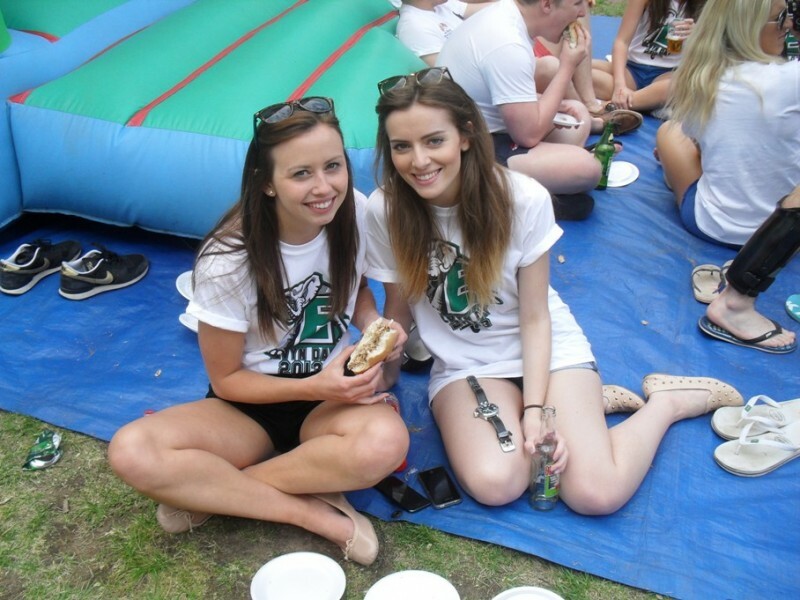 However, recently this event food option has enjoyed a huge surge in interest, UK-wide. So why not book a hog roast in Shepshed, to add delicious food to your fete, fundraiser, wedding or party? The Roasting Pig provides a versatile and flexible service, that fits well with any size or format of event. We’re in demand for everything from school fairs to fancy weddings, and from outdoors shows to indoor private parties. You may be wondering if hog roast equipment hire in the Shepshed area would suit everyone? Fear not, as The Roasting Pig can add other meats too, to create a full carvery service. Our cost-effective pricing includes set menu choices, or you can make it entirely bespoke to what you want. Don’t forget, there are a wide range of sauces and sides available with our succulent, locally sourced meats. Guests at your event can find their favourite flavour combinations, all with the assurance of good quality, mouthwatering food. 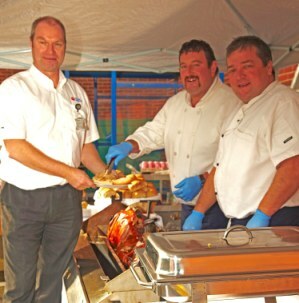 How would hog roast catering work at your event in Shepshed? 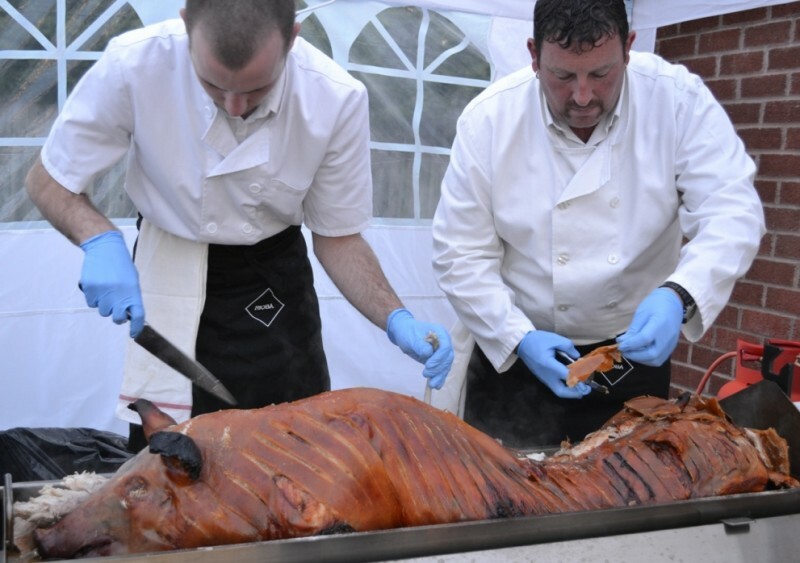 The Roasting Pig provides all the hog roasting equipment and a team of professional uniformed chefs. The entire service is covered by our five-star food hygiene rating. It’s this dedication to providing quality food and service, that has earned The Roasting Pig so many glowing testimonials from happy clients around Leicestershire, including the nearby Loughborough. We know from them that a hog roast in Shepshed can make any type of event even more memorable. Whether it’s a bit of a do at the Shepshed Town Cricket Club, a community event at The Glenmore Centre or a conference at the nearby Nanpantan Hall. Looking for ideas to make your wedding extra special? The Roasting Pig offers a special wedding package for couples who want guests to get excited about the food! 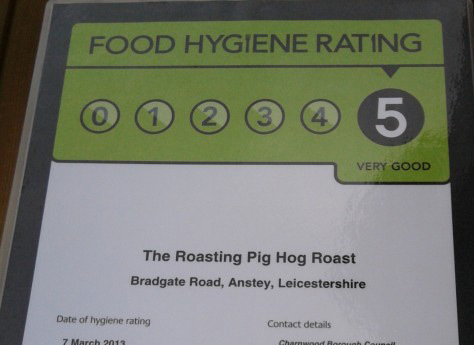 For hog roast catering hire in Shepshed and the surrounding area, we are waiting for your call.